The meaning behind last week’s leaked name from Star Wars: Episode VII’s Puzzlewood Set? Just a small “tidbit” here. 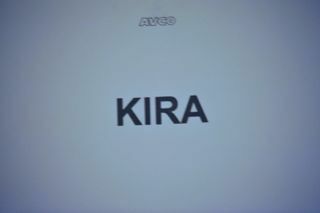 A few days ago, a photo showed up depicting the name “Kira.” The photo was placed in a trailer window. I’m disappointed in the Star Wars community! They’ve entirely missed the reference to one of the greatest directors of all time. I have no word on the name the character belongs to or if it is even a name in the film itself.